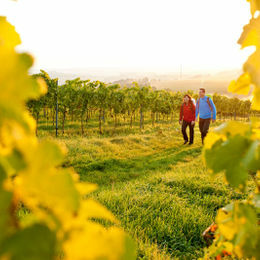 The Palatine Wine Trail is the essence of the Pfalz (Palatinate): The trail varies between secluded paths through interesting forest sections and sun-kissed stages through the vineyards of the region. 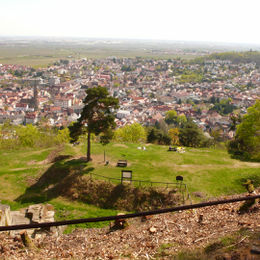 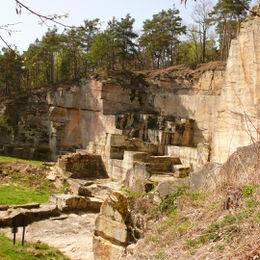 The hiking route begins at the Nördlinger Haardtrand, in the narrow and picturesque medieval alleyways of Neuleiningen. 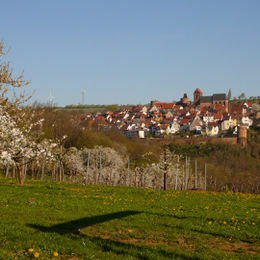 Passing Bad Dürkheim, Neustadt an der Weinstrasse, Annweiler am Trifels and Bad Bergzabern, the trail leads through pretty winegrowing villages to the German Wine Gate in Schweigen. 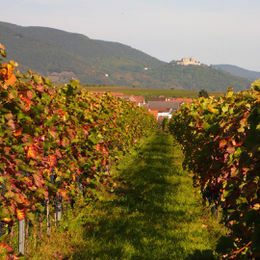 Whoever feels thirsty can stop at one of the numerous winemakers along the way, and uncork a bottle directly in the vineyard – nowhere else does Palatine wine taste better! 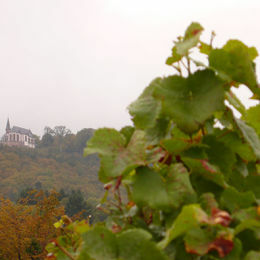 Ruined forts, Hambach Castle, Villa Ludwigshöhe, the Weinbiet and the 650 metre-high Kalmit repeatedly provide wonderful views across the vineyards towards the Rhine Valley. 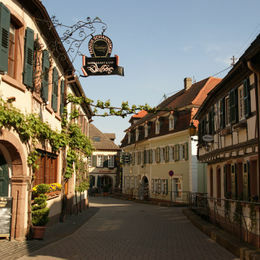 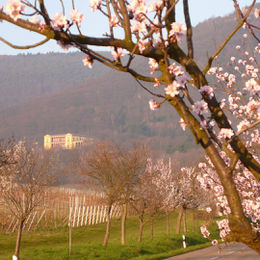 The Wine Trail ends at the German Wine Gate in Schweigen, directly at the border to Alsace. 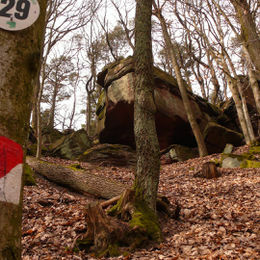 Multi-stage hike with alternating hotels. 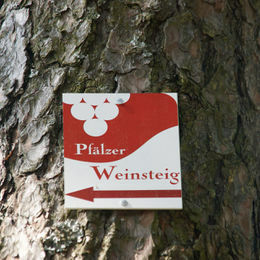 Palatine Wine Trail total length ca. 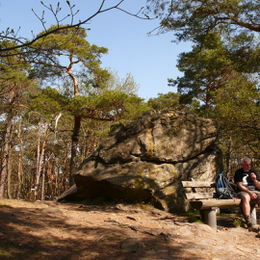 165 km. 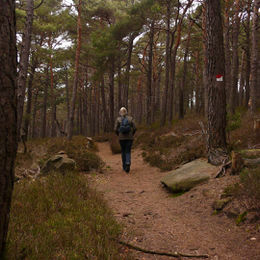 Arrival at both sections every Sunday.